Great fit, comfortable, and light weight! Love it. My 5 year old loves it. Fits perfect. Happy she will be protected when riding. the item arrived for our granddaughters Christmas gift. while it is coded as the same color combination it arrived different than pictured. I'm sure she'll love it anyway. but there should be and explanation provided as why its pink dreamscape all over the helmet and not just as in sets as was shown when we ordered. I love my new Troxel helmet! For the price I am very happy with this helmet. I was really worried it would be very uncomfortable and not fit nice, but it's great! Nice, light weight helmet that fits pretty well. 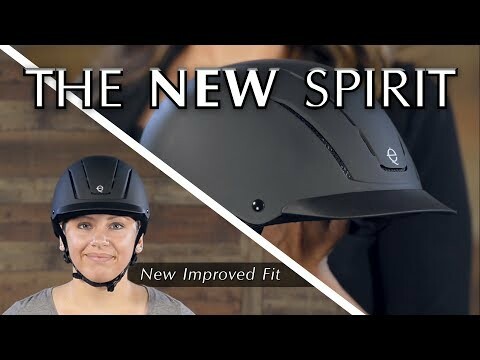 We ordered several of these to replace expired helmets in our therapeutic riding program. These were lighter and better balanced than the old ones. BEST ANSWER: Kaleidoscope is no longer available. Is the xs for a child? BEST ANSWER: Yes this schooling helmet would be compatible for a child. To determine the size for this item just measure the circumference around the head of your child right above the eyebrows. Below this item is a product summary, the measurement you receive will determine which size to fit your child. what exact measurements are small medium and large in the helmet? How long are the helmets good for? BEST ANSWER: It depends on your insurance policy. Some require helmets to be replaced every 2, 3, or 5 years. Definitely replace it after any fall from a horse.